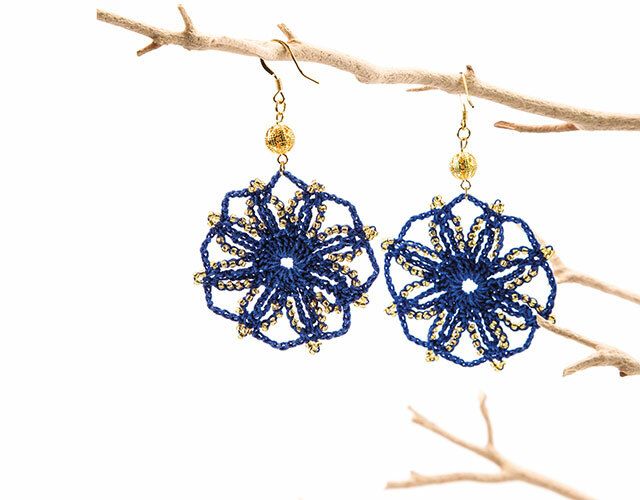 Dimensional crochet motifs become dazzling necklaces, earrings and more with jewelry-making know-how! 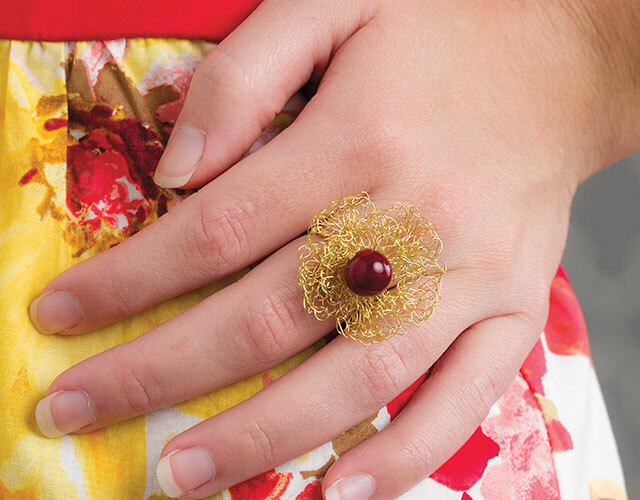 Join Robyn Chachula as she explores many must-know crochet jewelry techniques! In this class, instructor Robyn Chachula shares her love and passion for crochet by taking you into the world of creative crochet jewelry. She has gathered together her favorite crochet and jewelry-making techniques to share with you to create five gorgeous jewelry pieces while learning many valuable skills you'll apply to all your crocheting. The beautiful class projects -- Pansy Cuffs, Flower Motif Necklace, Snowflake Earrings, Pineapple Pendant Necklace and Golden Petals Ring--are presented both as written instructions and in symbol patterns. With clear explanation and large, on-screen examples, Robyn takes the mystery and fear out of reading symbol diagrams. She'll also explain how to crochet jewelry with classic materials such as thread and beads, plus how to work with unusual materials such as wire, leather and hemp. Later in the class, Robyn will demonstrate simple jewelry-making skills to construct the projects, such as how to join motifs with jump rings and how to shape a wire motif into a beautiful ring. Finally, you'll explore creative ideas for using motifs far beyond jewelry and into home decor and art pieces. When you complete this class, you will have many new skills to make your next crochet project a complete success. Confident beginner crocheters able to chain, slip stitch, work single, half double, double and treble crochet stitches will be able to successfully complete this class. This is an excellent class. Robyn is such a good teacher, with a lively personality. She really makes you feel like you can do anything! I really enjoyed her very clear explanations. I highly recommend it! I am a fan of Robyn. This was informative and I can't wait to work on my next jewelry. I rate it a five star. What a great teacher. So patient and speaks slowly. A creative genius. I have much to learn and do. Thanks for the information. Can't wait to start my projects.